Disclaimer: I received this product for free from US Family Guide & Hen in a Hurry. The opinions posted are my own. Thank you for supporting the brands that support me! #HenInAHurry I love cooking and creating new recipes, however, it's not always in the cards. 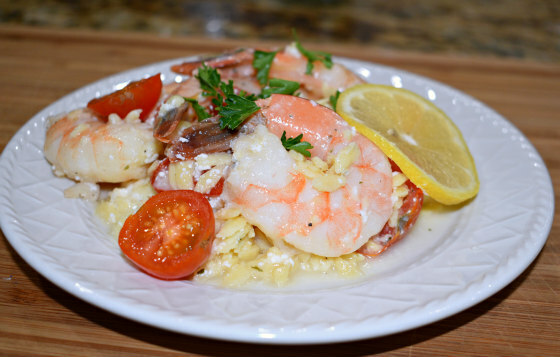 Do you always have time to prepare home cooked meals? Sadly, I do not. In the past, I've tried food subscriptions but my 92-year-old grandfather nixed them after a while. See the thing is — we purchased them for him — to make things easier on us and so he always has home cooked meals at his disposal. The problem with other meal kits we've tried is that the food is 'too fancy'. He wanted a homestyle meal and I was preparing gourmet style. They often included strange ingredients that he didn't like or ones we would never use. It just didn't work. He's a diner kind of guy. I'm SO happy I was introduced to Hen in a Hurry. This is the most down to earth meal subscription we've tried thus far. No Prep. No Preservatives. Just heat and enjoy. All with No Waste! That's their saying and I can see why. 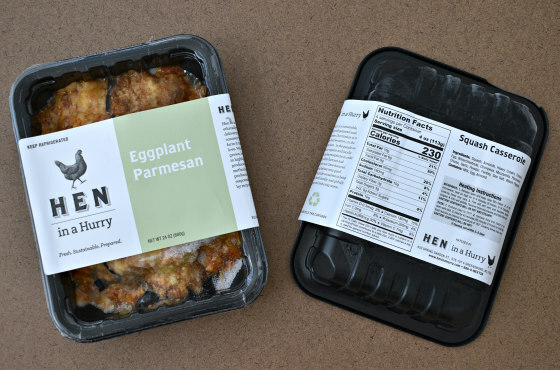 Hen in a Hurry offers chef-prepared meal subscriptions made with clean, sustainably sourced, and responsibly raised ingredients. Hen in a Hurry was created in the small kitchen of the popular Greensboro, North Carolina eatery, Iron Hen Cafe. By customer request, the idea of Hen in a Hurry came to be. They love organic and locally grown, but make exceptions for some farmers and producers. Meals are precooked and flash frozen so all you have to do is heat it up. All subscriptions are no commitment - pause or cancel at whenever you want! As I was saying, Hen in a Hurry's meals are very home cooked in taste. 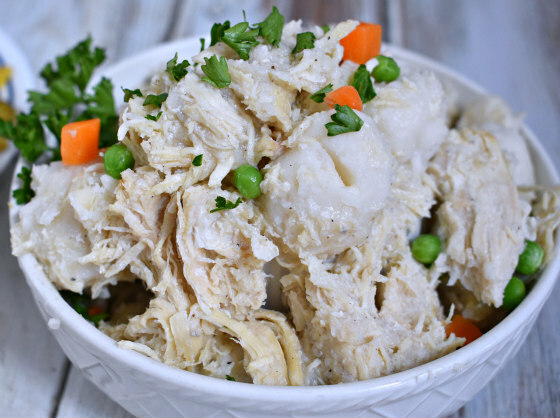 All of these home cooked meals sound like something your sweet, old little grandma would make. Not things that make you tilt your head in wonder. I swear one service had kale with EVERYTHING. I choose meals that I thought my grandfather would enjoy and boy was I right. You might think you'd get measely little shrimp with a service like this — but no — these guys were huge and FRESH. AND, there was a lot of them! I swear this meat was SO TENDER. Probably one of the best pot roasts I've had. Personally, I loved that you can cook all of these meals in the microwave (there's an oven option too, though). No one item took longer than 8 minutes to cook in the microwave. So that's means I had a whole dinner on the table in 16 minutes or less! Not too shabby. Each main and side is in a separate container — so I had to cook them 6-8 minutes each. I like that they are separated so I can pick and choose the sides as I want. 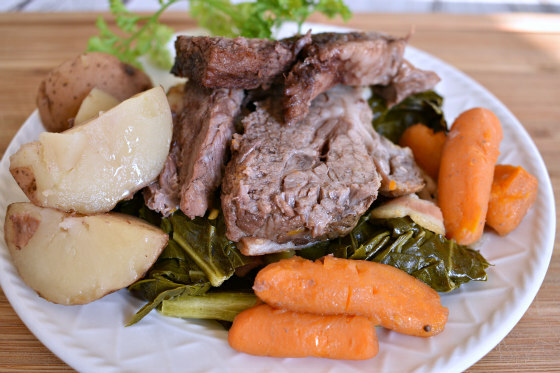 Sometimes, like with the Pot Roast with Carrots and Potatoes with Collard Greens, I cooked the pot roast as a whole meal. It already had carrots and potatoes which is like a side in itself. This left me the collard greens to use as a side with another meal. SCORE! Each container has a plastic film on it. No venting is necessary — they blow up when they cook. The result is perfect home cooked meals! Portions are good. I easily fed my grandfather 4 servings from each container. I probably could have squeezed out more though since he's not a heavy hitter. Also, I really like that on each package all of the ingredients listed are pronounceable. None of those chemical names ANYWHERE. Plus the nutrition facts are right there just in case you are counting calories, carbs, or both. Visit www.heninahurry.com and pick one of the advertised subscriptions. During checkout set up your account and then enter in the promo code associated with the deal you choose. Easy peasy! USE CODE "SHIP4FREE" TO GET FREE SHIPPING ON ORDERS OVER $100. And remember, all subscriptions are no commitment - pause or cancel any time. Orders placed by 12 Noon EST on Thursday will be shipped the following Monday afternoon. 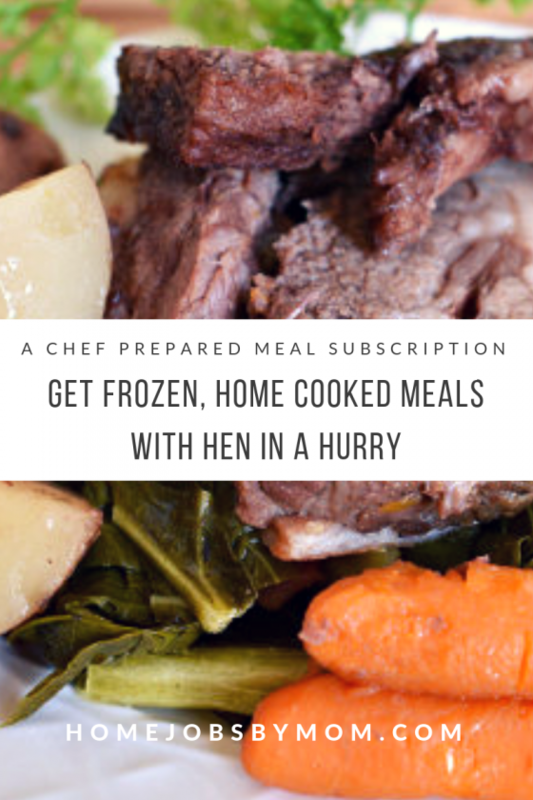 Give this home cooked meals delivery service a try — you have nothing to lose — Hen in a Hurry is truly is risk-free. You're not committed to months of service. PLUS you get to enjoy delicious flash frozen foods that can be on your table in 18 minutes or less. These meals are a caregivers dream — since most doctors recommend home cooked meals vs restaurant food. Try it today!